"Sandi's Divine Dishes, in Vegan Recipe for Life cook book is a testament of her Jamaican and adventurous spirit to continuously experiment with international cuisine, from Jerk Tofu to her lasagna, one can't make up their mind as to which to prepare first. "Sandi has a spirit of positive energy that radiates itself with good health and integrity. Her tasty recipes are amazing." - Chef Johnny Rivers - Disney's Chef Extraordinaire." 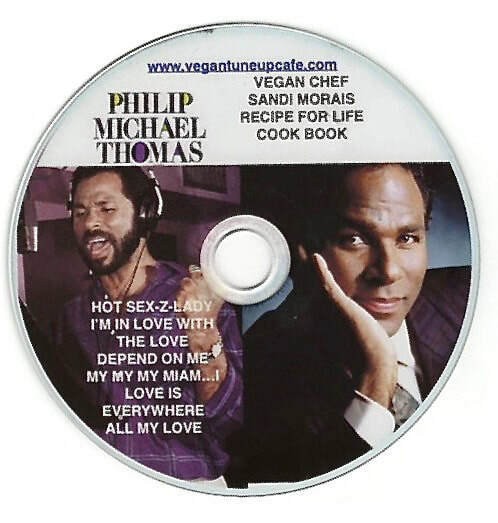 VEGAN RECIPE FOR LIFE IS A SIMPLE RECIPE BOOK WITH QUICK EASY TO MAKE APPETIZERS, SMOOTHIES ENTREES, SOUPS, SALADS AND DESSERTS. ABS & GLUTES by Kamla Macko, IFBB Figure-Pro and 2 X Olympia Competitor is a great workout program with exercise photos and easy-to-follow instructions specifically to tone and firm your Abs and Glutes. The book also comes with healthy recipes and a journal to help you track your progress.